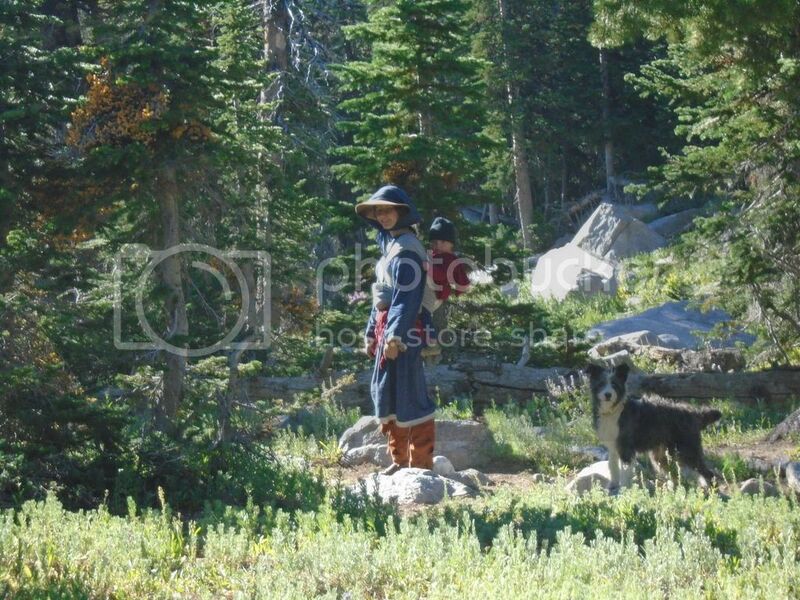 A few years ago I posted pictures of a trek I did into Independence Lakes. This past weekend the family and I packed in there. 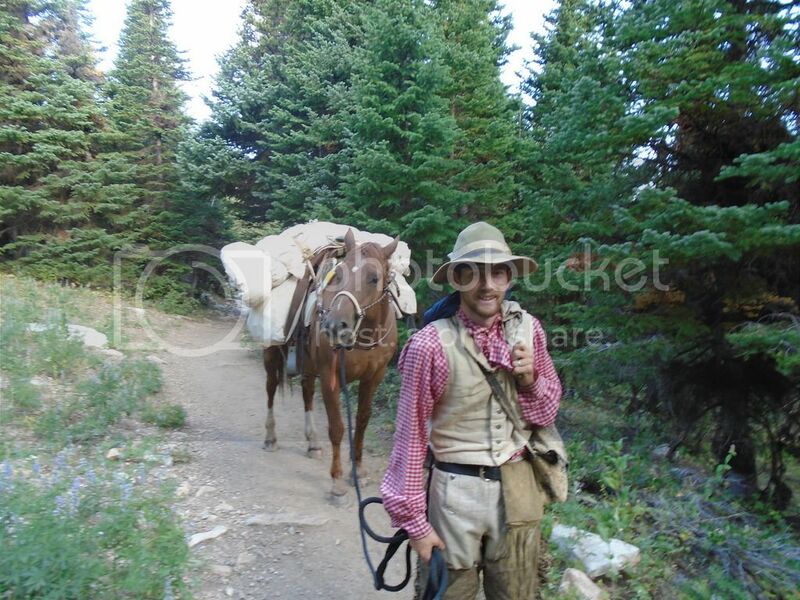 This was our first trip using a pack horse. All went well despite the "bronc" my brother-in-law loaned me. I don't have any period tack or even a pack saddle. This Spring I made panniers that fit over my old work saddle. Like I said, not period gear but it's a start. That kid of yours is growing fast.Looks like a happy,healthy little hell-raiser...Heh. Good job with your packing the riding saddle Matt. You and the missus are raising that youngin' right! Enjoyed your blog as well. Just to brag some more on my lovely wife, we just found out that in this picture of her she is carrying two children. One on her back and one on the inside. She's a regular Marie Dorion! Wonderful news Mat! God Bless you both! Great News!!!!!! !Congratulations to you both!Children are indeed a blessing!